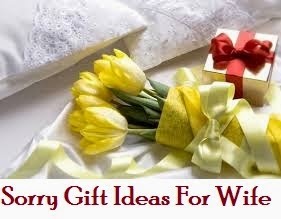 Express you deepest apology to your wife by saying a hearfelt sorry message with a beautiful flower bouquet. 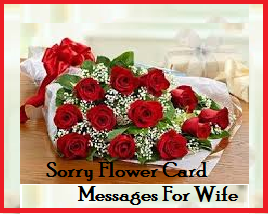 Convey your apology by a sorry flower card message to your wife which will really melt her heart. 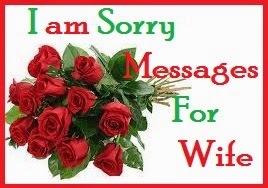 To help you send the sweetest sorry message here is a collection of sample sorrry flower card messages for wife to choose from. To my lovely wife, you are so awesome and such wonderful woman. I feel bad hurting you so deeply. I want to say sorry and make it up to you. Please forgive me, I love you! I always thought that men are stronger than women. But I proved that I was totally wrong. I am genuinely sorry, my dear wife. I didn’t mean to say those words to you and hurt your feelings. I take them back sweetheart please forgive me..
Honey, I never meant to hurt you or insult you. I hate to see you in pain and sad. I feel so sad now and I swear that I will not do it again. I am sorry, please forgive me. I feel not man enough after I have hurt you. Though you hide it, I can feel the tears dropped from your eyes. I’m sorry my dear wife. I love you. I hope you can forgive me. Dinner date tonight? Remember our wedding day? The day you said “I do” I was so happy and delighted. You always kept your promise when I made you happy. Will you still keep it for me and love this stupid husband of yours? I’m sorry for making you sad and insulting you. I take back my words and I’m really sorry for everything. I am sorry my dear wife. But I am not lying when I say sorry and I love you with all my heart. I want to live a happy life with you so please accept my apology. I know how much I hurt you and I just realized how much I love you after our fight. Sometimes misunderstanding helps a relationship to stand still and become stronger. I want you to know that I adore you for forgiving me. And after your forgiveness, I just realized how much you love me too. I love you my dear wife and I’m really sorry. I promise that from now on, I will never use bad words on you. I’m really feeling so bad after insulting you. You are my wife and I love you from the bottom of my heart. Until you tell me we’re ok and good, I will always suffer from pain and guilt. I’m sorry my wife. Please forgivr me. My days are incomplete without your kiss, smile and hug. I miss you my dear wife. I’m sorry. Will you forgive me my sweetheart?